Enjoy a short break to Amsterdam sailing with P&O Ferries from Hull. Let your hair down on a two-night mini cruise break to Amsterdam with P&O Ferries. You'll get to spend the day exploring the wonderful city of Amsterdam in The Netherlands at your own leisure. 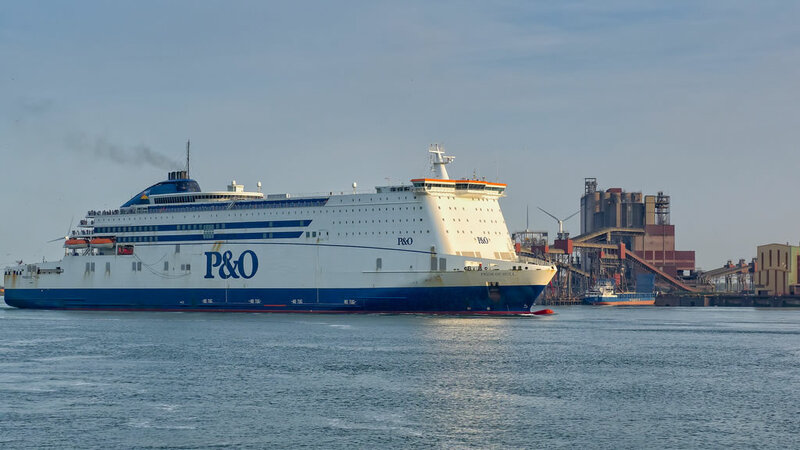 At 8.30pm your modern ferry will leave the Port of Hull and sail overnight to Europoort on the outskirts of Rotterdam. Enjoy the entertainment on-board, tuck into a delicious dinner, or enjoy a bit of shopping before heading to bed in your own en-suite cabin. At 8.15am (or 9am on weekends) you'll arrive in Rotterdam where a coach will be waiting to whisk you to Amsterdam. Depending on traffic you'll normally be there by around 11am to 11.30am. TRIED AND TESTED! I have sailed on this mini cruise and have reviewed my experience. Read my P&O Ferries' Amsterdam mini cruise review here. Enjoy touring Amsterdam at your own leisure. Browse museums and galleries, get a taste of the local culture, or hit the shopping streets. Plan your trip carefully before you sail from Hull and you'll be able to cram an awful lot into your mini break. Alternatively relax and unwind in one of the many bars and cafés dotted around the city. At 5pm the last coach departs Amsterdam taking the last load of passengers back to the ferry terminal. At 8.30pm the ship sets sail bound for Hull the following morning. So you know: I can't find an expiry date for this offer so this deal may be available or it may have withdrawn with no notice. If you think the deal is no longer available please let me know and I'll let everyone else know. All deals are subject to availability and can be withdrawn by the operator without prior notice. The lead-in prices (otherwise known as the 'from' prices) are, unless otherwise stated above, based on two adults sharing the cheapest available cabin on the cheapest available date. Typically the best prices are available at the start of any promotion period so the earlier you book the better choice of sailing dates and cabin availability you should have. Mid-week sail dates are likely to be cheaper than weekend sail dates. Here's my Amsterdam mini cruise review from when I last sailed with P&O.